Seek your style, find your glasses! 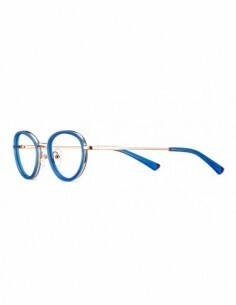 Acetate-metal sun model for women Bar-less option for the Ferlandina model. Fine profiles with subtle and feminine forms. Acetate Havana and clear frames to give the model a jovial and carefree personality. 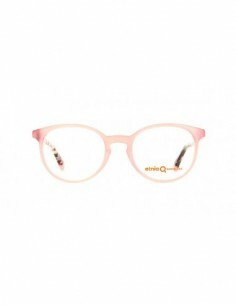 Eyewear very femenine with cat-eye shape Semi-rectangular with slight cats-eye shaping. Very delicate and elegant lines. Very commercial. 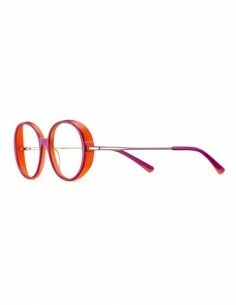 Designed in new acetates with different colours and textures. Three acetates, three textures and three colours combined in one frame. 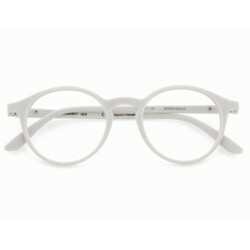 Rectangular unisex eyewear with retro forms Re-release of a successful model in a new version. Rectangular. Inspired by retro shapes. Contrasting colour lamination where the temple meets the front and on the earpieces. Wood finishes. Timeless eyewear with wood finishes Modern and timeless design. Rectangular shape with very fine lines. New acetates and new colour combinations of matte, glossy and "wood" finishes. 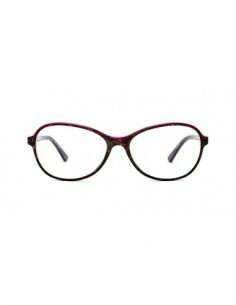 Acetate eyewear with diferent color combinations Rectangular shape, elegant, delicate and subtle lines. Very versatile. Triple lamination on the front and double on the temples. Three acetates, three textures and three colours combined in one frame. 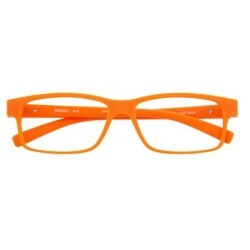 For women looking for a discreet frame but with a touch of colour. Rocker sunglasses with a very retro style Inspired by frames from the fifties, when rock and roll was in full swing. 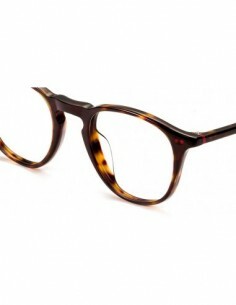 Acetate front with a metal bridge and a very marked cats-eye shape. Metal temples with acetate earpieces accentuate its sophisticated style. Sunglasses with a metal and acetate mix in its mount Based on our best seller, the design team proposes a totally new model. Metal structure that blends perfectly with the newest acetates in our collection. 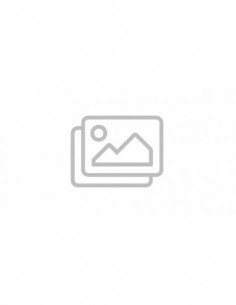 Sunglasses with double bridge, for men and women Panto sunglasses, unisex, with a frame made of natural acetates in sober colors and a metal bridge and top bar on the front. Made with polarized mineral lenses with an HD filter for clean, clear, reflection-free vision, providing the ultimate in protection and visual experience. Big sunglasses for very femenine women Acetate model for women, a square shaped "maxiframe" with a very urban style. Perfect finishes and spectacular colour combinations. The gradient or lightly flash-coated lenses give it a sophisticated look without giving up maximum protection and transmitting high quality. Sunglasses with a modern design and a style fusion The mixture of cultures in this Barcelona neighbourhood is the inspiration for this frame that perfectly fuses two very current trends: round and double-bridge. Temples engraved with contrasting art deco-inspired motifs. 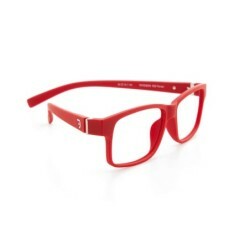 Sunglasses for urban and daring men Masculine acetate large-sized frame. Its marked profiles and angles give the model personality. Fitted with polarised or photochromatic mineral lenses with HD filtering to give the wearer an unparalleled visual experience. Cat-eye sunglasses for elegant women Women"s acetate sun model, semi-square shape, with an acetate front and a slight butterfly touch. The metal temples with acetate earpieces give it a cosmopolitan air. Well proportioned and elegant. Sunglasses for modern and avant-garde men Temples engraved with contrasting art deco-inspired motifs. Acetate earpieces, laminated with herringbones, stripes, horn patterns... inject the Etnia Barcelona "DNA". Shock-resistant with anti-scratch and anti-static electricity treatment. Maximum UV protection. 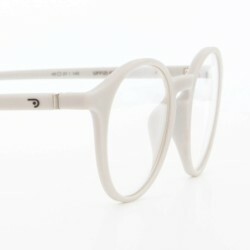 Round sunglasses with metal and acetate combination Round, unisex sunglasses, inspired by the ‘60s and the hippie movement. 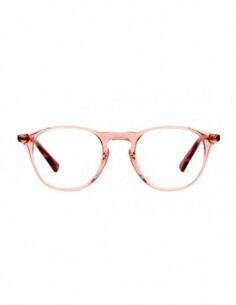 Constructed based on a colored metal structure covered with natural acetates in different color combinations on the frame front and earpiece. Stylish and feminine sunglasses Rounded sunglasses, with a frame that mixes metal with natural acetates in different color combinations. Cotton acetate from Mazzucchelli on the frame front and earpieces, bridge and temples in gold or silver metal. Women sunglasses inspired in Hollywood Hollywood"s golden years inspired this model with a slight cats-eye effect. Elegant and glamorous, it"s perfect for women with character. It combines soft colours like havanas and daring ones like pearlescent whites with a chessboard effect. 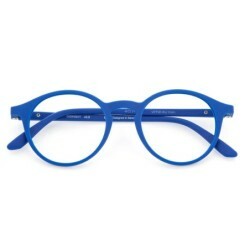 Eyewear with extra fine and thin profiles Etnia Barcelona New unisex model, the result of fusing nanoflex with acetate. Round shape. Very current. The properties of nanoflex of lightness, flexibility, strength, elegant aesthetics. Woman sunglasses with bridge and metal bar Sunglasses with a top bar, with a frame that combines natural acetate with metal. Feminine design, with thin profiles and a distinctive touch of color on the temple tips. 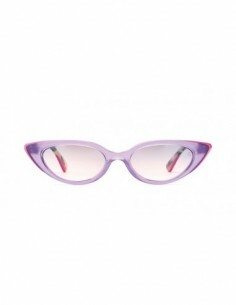 Glasses made with gradient mineral lenses with a flash effect from the Italian firm Barberini. Become a trendsetter in trendy glasses from our brands! 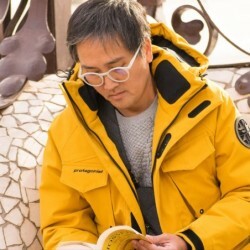 Didizabàs works with brands that know the needs of its customers, brands that innovate, trendsetters, but especially glasses brands that design thinking in people. Our collection is constantly evolving andoffering you current and original brands who design their own product and positioned themselves as "top" brands in fashion glasses world. Visit all our brands and let yourself be guided by your intuition, because we assure you will not regret, each working with the same intensity product design and materials, making sure that in addition to buying a pair of fashion, you will also be bying buying quality glasses.